What is Engineered Wood Floors? Ferma explains the history, advantage and use of Engineered Flooring. If sustainability is a priority of yours, engineered wood floors tend to be a more sustainable option. This is especially true if you’re considering an exotic wood. If you want long-lasting flooring, engineered wood floor will last from 20 to 100 years, depending on the thickness of the top veneer. If you need to put floors into more moisture environment, engineered wood floors can be more resistant to moisture and tend to be more stable. While no wood product can tolerate water standing on it, the increased moisture levels over concrete aren’t a problem for most engineered wood floors. What is the history of Engineered Wood Flooring? Since the invention in the 1960s, engineered wood floors have improved in appearance and performance, accounting for 30 percent of all the wood flooring solid in American today. Available in dozens of wood species, and with new surface effects, such as hand scraped, for a timeworn patina, these high-tech boards now look just right in any vintage house, whether it’s a 1910 foursquare or a 70s-raised ranch. What’s the advantages of Engineered Flooring? It looks just like real wood: One of the great things about the engineered wood flooring that you can buy today is that it looks just like real wood. It doesn’t expand and contract to the same extent as solid wood: Aside its great looks, this is arguably one of the most significant advantages of engineered wood flooring over solid wood. It is extremely durable: Engineered wood flooring is made up of layers and layers of plywood that are bonded together before being topped off with a solid wood lamella or top layer. It can be sanded: resending a floor enables you to bring the floor back to life when it’s looking tired. It can be refinished: Once you’ve re-sanded your engineered wood floor, you can refinish it to protect it and make it look like new again. It comes in a whole range of species, grades and finishes: In the same way that solid wood flooring comes in a whole range of species and grades, engineered wood flooring has the same range for its top layers. It lends itself to wider boards: Because the core boards are made of plywood, the boards can be made much, much wider than solid wood flooring without breaking the budget. 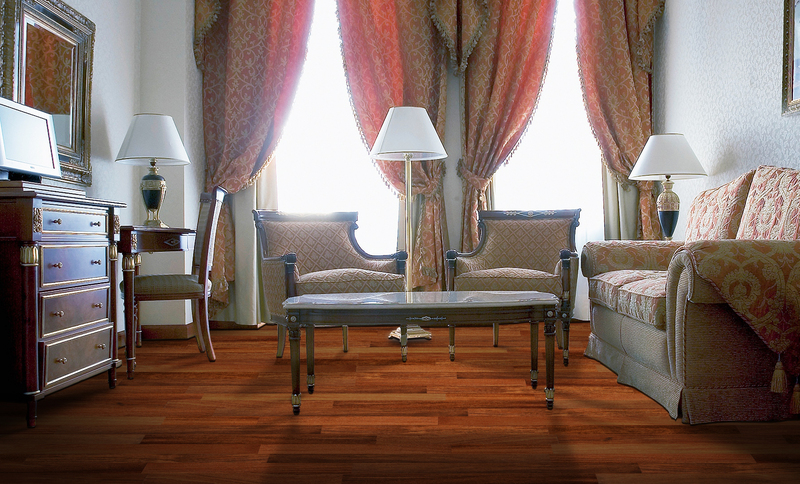 Easy to install: engineered wood flooring lends itself perfectly to both DIY and professional installation. It won’t break the bank: great advantage of engineered wood flooring is that even though it might look as if it cost a fortune, it won’t.